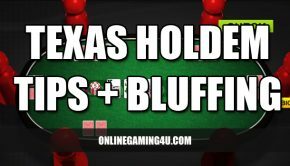 Having the ability to calculate pot odds and equity can be a considerable advantage in poker, allowing you to make more informed decisions as to which hands to play or fold. While the mathematics of poker is a field of study in its own right, there are a number of quick strategies you can use to calculate the pot odds and equity on a given hand, to indicate whether the probabilities are working in your favour. 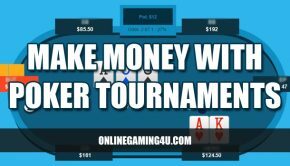 In calculating pot odds, you firstly need to calculate the odds of your hand winning and taking the pot, before subtracting the odds of the cards falling in your favour, based on the specific cards you require to compose a victorious hand. The first step requires you to work out your ‘outs’, i.e. the total number of cards that remain within the deck that could contribute towards your winning hand. Bearing in mind that a deck is comprised of four suits of 13 cards, it should be relatively simple to calculate on the spot the number of possibilities that could factor in to a winning hand. Upon calculating your Outs, divide the answer by the number of cards that are still waiting to be turned (Unseen) and subtract 1, to give you your key pot odds figure. The rule is to bet only where there are at least X times your stake already in the pot, where X is the answer to the above formula. Here’s a practical example. Your hand is made up of 4S 10S. The flop turns to reveal 2S 6S 8H. This leaves 47 cards that are unturned, and presents 9 outs (of the remaining Spades in the pack to make the flush). Therefore, you’ve calculated that it is advantageous to bet only where the pot is weighted 4.2 times against your stake amount. 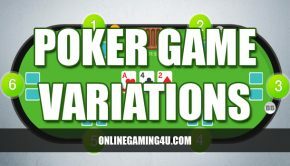 This is to ensure an effective balance between the odds of winning the pot and the amount of your stake, and can help stack the probabilities in your favour on a more consistent basis. Equity aims to calculate your odds of winning the pot as a percentage, to determine the best instances to bet on a hand. While there are many factors that play in to your chances of winning across opposing hands, a quick equity calculation can provide a good estimation of your likelihood of taking the hand. After the flop, take the number of outs applicable and multiply the total by four to give a rough approximation of equity. After the turn, the multiple is halved, i.e. 2 times the total number of outs, to give the equity percentage. Therefore the equity, i.e. the odds of winning the present hand would be 36% after the flop, giving a prediction on which you can decide to call or raise depending on the level of betting and the fall of the cards. OnlineGaming4u is a top-rated independent gambling guide established 2006. Helping thousands of gamblers in the UK choose safe and reliable providers to play the most exciting games online.